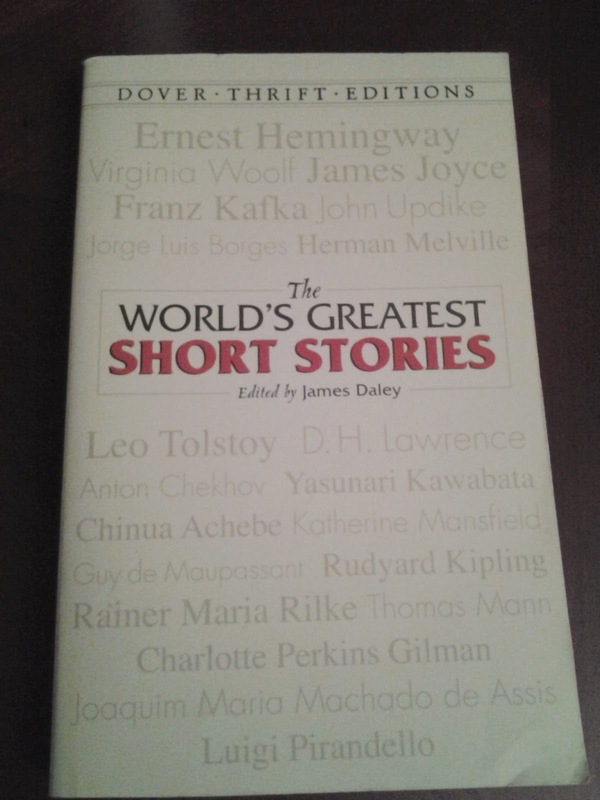 Date Read: 1/1/2014Source: The World's Greatest Short Stories, Dover Thrift Edition, edited by James Daley. The story can also be found on this website. There is a short story in this though it can be hard to fully explain. The story is a lament by the first-person narrator about how he and Borges are bound together. They are different but still inextricably tied together; so much so, that while the narrator tries to state who he is and who Borges is, he wonders if in fact it is even he who is writing the work being read. Borges is Borges and that means complexity and layering. That being said, "Borges and I" is a fascinating reflection. I'm inclined to think that the "I" of the story is Borges's potential or time left on Earth; may his inspirational essence? The author, Borges is communicating a certain dual nature between who we are in any given moment and who we were once we have passed that moment--a cleaving of the person. It makes no wonder that he passingly references "Stevenson" in this work (a brief reference to Robert Louis Stevenson--though only "Stevenson" is mentioned--I would guess for his work, The Strange Case of Dr. Jekyll and Mr. Hyde and its own duality has some inspiration for this writing). In the end, it's a very short story that requires a good amount of unpacking.